Asset Finance for your business. Asset financing enables you to acquire a new asset whilst preserving working capital. 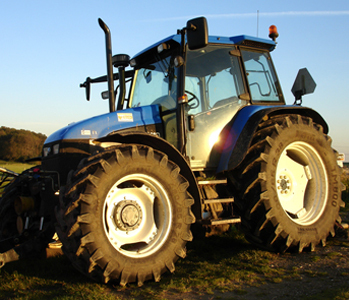 Instead of having to pay the full amount for the machinery up front, the finance agreement involves manageable monthly payments over an agreed term, giving you more flexibility to purchase new machinery as and when required, rather than waiting until you have sufficient cash flow to buy the machinery outright. New machinery can increase the capacity and output of your business. This type of financing is also popular because of the flexibility it offers, particularly as asset finance providers tend to be much more flexible than other lenders such as banks. If you would like the option to own the asset at the end of the agreed term, you can choose hire purchase finance. If you do not want to own the asset, and just replace it every few years, leasing finance is usually the best option. You can rely on the fact that you’re dealing with someone who has a strong understanding and interest in your business, and will become a partner in your growth. There are a number of other benefits of asset financing, including capital allowances, meaning you can recover some of your costs through tax deductions. Here at County we love equipment, from plant and engineering to forestry, printing and vehicles of all types. Whether it’s new or used, refinance or acquisition, we are keen to help UK SME’s to grow and develop their business. We also carry accreditation from the British Business Bank for the Enterprise Finance Guarantee Scheme, which gives us the ability to offer SME’s Term Loans, and are proud to state, that we are only the third principal lender in the UK, able to also offer the asset finance variant. This scheme allows us to offer support to businesses that wouldn’t ordinarily fit our current credit policy by means of additional government support. Read more about Enterprise Finance Guarantee. Read more about Equipment Financing or Business Vehicle Financing. In short, asset finance provides you with the capital required to finance an asset. Instead of having to pay the whole amount in one go, you usually pay back the amount in monthly payments, which frees up working capital. The different options available will depend on a number of factors, including the capital you have available. The two main types of asset finance are hire purchase finance and leasing finance. In the case of hire purchase, the title of ownership passes to you once at the end of the contract. If cash flow is not an issue, hire purchase may be the more appropriate option, as an initial deposit is required. Another key difference is that VAT must be paid at the beginning of the contract, but can be re-claimed on the asset’s cost. There are a couple of key differences between leasing and hire purchase. Firstly, with leasing you do not own the asset that you have financed at any point. Secondly, a deposit is not normally required but this means that you cannot claim the VAT on the cost of the asset. Instead you will pay VAT on the monthly cost of rental. Rentals are tax allowable. When cash flow is more of an issue, companies tend to choose the leasing option. As the name suggests, asset re-financing is when you take out additional financing on an asset that is already being financed. This is normally done to free up working capital and can often be an efficient way to reduce your monthly outgoings. How long does it take you to make a decision? We pride ourselves on our fast response, and most decisions are made on the same day, sometimes in just a few hours, once we have spoken with you and you have provided us with all of the information that we require to make a decision. What businesses do you lend to? We lend to a variety of businesses, both in terms of size and industry. We most commonly provide asset finance on industrial equipment and machinery, although we do provide other types of finance too. As an independent finance house, we pride ourselves on our flexible and creative approach to finding finance for you. Please get in touch to find out more about how we can help. What information will you require before you approve finance? We will require details about the financial performance of your business as well as a credit report and information on your financial situation and history. We appreciate that not everyone has a ‘squeaky-clean’ credit history and understand that your situation is unique, and therefore judge each situation on its own merit. We’d love to hear from you. Who will be my key point of contact? As an independent finance house, we do not operate credit departments and believe in a much more personal approach. Throughout the process you’ll be dealing with the person who makes the decision regarding your finance, and, if we provide you with financing, you’ll often deal with that same person throughout the term of the agreement too. We find that this makes things easier and clearer for our clients, and also leads to stronger working relationships. Can I keep the assets on my company’s balance sheet? Yes, there are options available that enable you to do this. However, the financing option will depend on a number of different factors, which we’ll be happy to talk through with you. Why is this different to a bank loan? As banks have strict lending conditions, it is still proving difficult for many businesses to acquire financing through a bank. Additionally, banks will often lack flexibility if you do not meet their criteria. As we lend all of our own money, we can be much more flexible in our approach. You pay your finance monthly over an agreed term. You can apply for finance in a number of different ways, either by calling us on 01455 200 150 or by filling in our online form. You can also email us on sales@countyfinancegroup.co.uk.